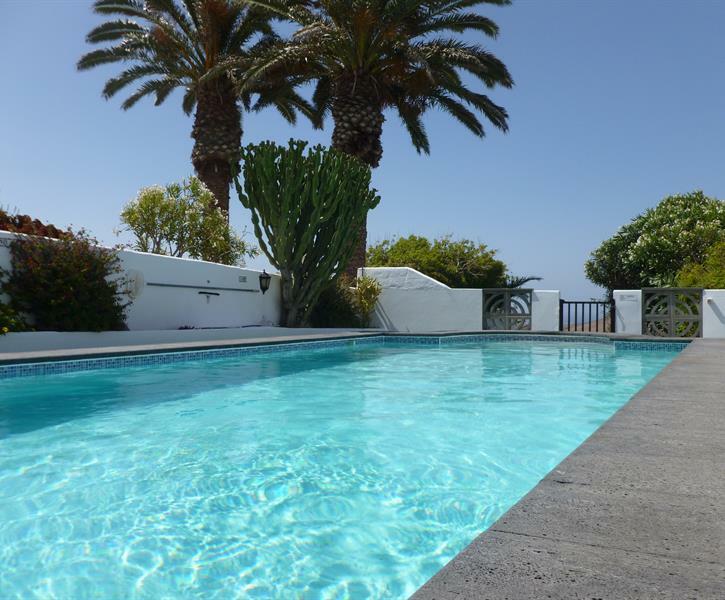 Large luxurious villa,centrally located, 11mtr x 5mtr large private pool,2 floors Hot Tub, Games Room, Free Internet / Wifi,49"HDTV, PS4, Wii, Apple TV, BBQ, 3 Terraces, 2 floors. Must do.! Visit Lagomar Restaurant just minutes away, once owned by Omar Sharriff. Go to Jonnie Bakes, an Artisan Bakery with wonderful home made cakes and savouries close by in Teguise, we recently tried their fresh bread, amazing - it makes you wonder what goes into the Supermarket bread ! Sunday market in Teguise only 5 minutes away by car.- it must be said Teguise has some great restaurant as well, so visit on another day as well A early morning walk along Famara beach (10mins by car) is a must You can find the "alternative" 10 top places to visit on our web site - click on the button "Lanzarote information" - We also have lots of free guides on Lanzarote on our web site Short walk from the villa to local 'mini' supermarket and the Lag O Mar restaurants Guests will find their holiday more enjoyable if they hire a car, we can arrange this for you, where you will be personally met at the airport ( No queues) & the rates are fully inclusive, so no added extras ( and no fuel surcharges ) Like most visitors, once you have stayed, we think you will want to come back again and again ! We stayed in Villa Antonio for two weeks from 29th March with our two children (8 and 6) and my parents. Our first impressions of the villa were how homely and well laid out it was for our party. Everyone had lots of room to chill out. The villa is really well equipped and the games room and WII in the lounge were a bit hit with the kids. The pool is just fabulous - such a great size and lovely temperature - we spent many an hour in there. The hot tub was also well used and on the couple of days when it was not quite as warm it was lovely to relax in there. We loved the location of the villa as we were not looked over and had great views of the coast and the mountains. It is also very peaceful which helped us relax even more. With two kids we did venture out a bit and loved the beach at costa teguise (Playa Jabillo) as the sea was like a lagoon and there were lots of rock pools for the kids to investigate (we left the nets for others to use). We had a car and did a few trips (orzola and arietta (lunch at the beach was fab here), famara beach (stunning) and play Honda beach (great beach with hardly anyone on it and lots of beach front restaurants). We had a wonderful meal at Los Aljibes in Tahice on road to costa teguise) and aubergines with palm syrup were to die for). Also had great food at arietta (at El Lago and Chiringuito Beach Bar) and great pizzas at Pizzeataly in Costa Teguise and El Sabio in Teguise. We wouldn't hesitate to recommend the fabulous villa to all types of holiday makers and would consider going back ourselves. Finally the management company were great and came when they said they would and gave us some useful tips. The mid holiday clean was really thorough which was fab. This was a perfect luxurious retreat and base for the island. We wanted to spend a few days away from the world in a secluded villa and it was perfect - we were spoilt for choice as to whether to simply lounge with a book by the pool, lie on an inflatable in the pool or have a glass of bubble relaxing in the jacuzzi! It was also ideally placed as a base to visit the island. Loved, loved, loved this villa - will definitely visit again when we need to re-charge the batteries. (The games room on the ground floor and Playstation also made it a perfect villa as it kept everyone else entertained while we relaxed). This was our 3rd year at this villa, I think that says it all really!